Football used to be considered as a game only for huskies - but nowadays the coaches say that there is a place on the team for any man, no matter how small he is, providing he has the grit and the endurance, the speed and the energy. So I say that a man can become strong no matter how much nature has handicapped him by giving him a lack of inches, or a small frame. Even those in ill-health can be made strong, because exercise promotes health. In turn muscle can be made to grow on the healthy body, and with muscle will come strength. Some of the strongest men I know are little fellows; that is, little so far as height goes, for in every other way they are miniature giants. And most of them are strong today because they got tired of being snubbed and imposed on for their lack of inches and their dearth of strength. Almost anyone who earnestly desires to, can make himself strong; not just ordinarily strong, but very much stronger than the average man, little or big. 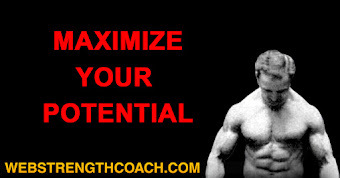 And to become strong - to add size and strength to your body, or in other words to develop it - takes much less time than to cultivate the mind. A boy who enters school at eight years and graduates at eighteen, has during that ten years given up at least six hours a day to exercising and cultivating his mind. There was a time when those who run the schools gave no thought whatever to the cultivation of the body, but during the last generation the necessity of physical exercise has been recognized, and today the heads of schools see to it that their pupils are compelled to take part in sports, games and exercises which make for bodily betterment. Undeniably, the brain can stand more work than the body can. A student can spend four hours in the class room and four more in concentrated study, without becoming brain-tired; in fact, his mental powers are developed by such application. The same student could not spend eight hours a day at equally hard physical work without becoming exhausted. Two hours of vigorous play every day is sufficient to promote healthy bodily growth in a schoolboy, while half of that is plenty enough to keep a college student in condition. But play - athletic sports and games - admirable as they are, are neither the only nor the best means of physical education. Especially this is true at institutions where sport is systematized, and the big teams get most of the attention. For there the weak boy or youth, the one who most needs the exercise and the physical training, has to step aside and make room for the other boy who is already so good that his presence on the playing field is an asset to the institution. At many colleges and schools, physical drill is required; but the very fact that it is compulsory robs it of much of the value. "Setting up" exercises are better than nothing, but when performed under compulsion and in a haphazard way by a large group they tend to become a monotonous hardship instead of an invigorating pastime. Little or no effort is made to explain to the individual student his own capacities for bodily improvement, nor to awaken in him the desire for physical perfection. For those who are interested in some particular sport, every facility is provided. High-salaried coaches will teach him all they know about how to play some game, and his hours for study will be arranged so as not to interfere with his hours for game practice. Members of teams are given special privileges. Under this system all that is required of the non-athletic student is that he shall appear regularly in the cheering section. Anyone interested in the physical betterment of the rising generation cannot help being struck with the popularity of the playground as compared with the unpopularity of the gymnasium. The only time most students voluntarily go to the gym is when there is a chance to see a basketball game, or a boxing or wrestling tournament. A student cannot graduate from school or college without passing specified tests, and to pass those tests proves that he has more knowledge and brain-power than at the beginning of his school work. I believe that it is possible to devise a system of physical education that will be just as successful in developing the physique of the pupil as the present system improves his mind. But at present the weak and undeveloped man who wishes to become strong and healthy has to have recourse to the services of private teachers who will give him the kind of individual training his case demands. And such people are legion. 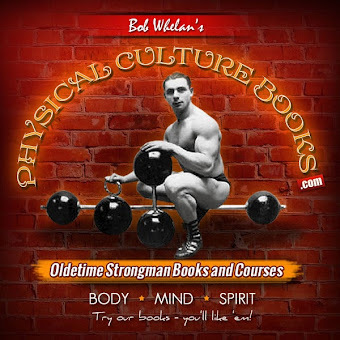 Why, I myself in the course of a little over one year, heard from nearly half a million men and boys whose letters proved that they were interested in getting bigger, better and healthier bodies. I mention that not as an instance of my own popularity, but as evidence of the tremendous and widespread interest in the cultivation of the body. Those letters came from all kinds and classes of citizens, all the way from the middle-aged business men who wished to regain their youthful figures and energy, down to college students and schoolboys who were after results which they could not obtain through the facilities afforded by the physical departments of their own institutions. It has come to be recognized that systematic physical training will do as much for the body as systematic study will do for the mind. More and more people are becoming interested in acquiring for themselves beautiful, shapely, strong and healthy bodies. And interest is the secret of development. Any teacher will tell you that a boy will learn vastly more about a subject in which he is interested, than in a subject which bores him. 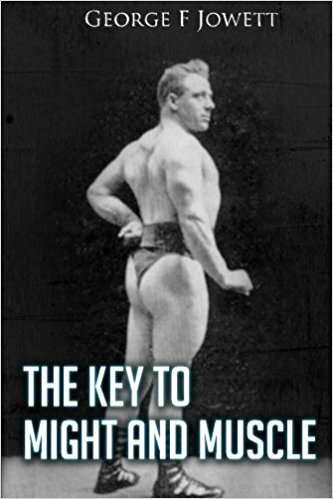 As a teacher of physical culture I can assure you that a man or boy who is interested in seeing how much strength and muscular development he can obtain, will improve in both respects ten times as rapidly as the other individual who looks upon exercise as a necessary nuisance, which must be done for health's sake. There are many who are what you might call fatalists about their own bodies. They think that development "just happens," that either you have strength, or you haven't and that it is flying in the face of nature to try and increase your own physical assets. I have in mind two brothers of exactly opposite types, both physically and mentally. The younger of the two, a tall, rangy youth of twenty-one, became dissatisfied with what he called his "scrawniness" and embarked on a system of home training that called for a half-hour's daily exercise of a rather rigorous character. The older brother, who was also tall but much broader-shouldered and heavier all-round, was inclined to sneer and jibe. 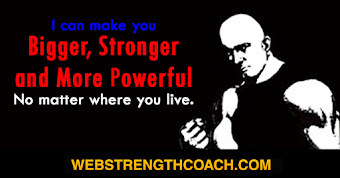 He said to me, "I don't care what you say - strength doesn't come that way! Why look at me - when I was a kid I worked every summer on a farm. I would start in at six o'clock in the morning and work until supper time. Nearly twelve hours every day at plowing, reaping, spading, hoeing and all kinds of hard work. No wonder I have big shoulders and a strong back. My arms and legs are not very big, but then I have small bones. I feel that I have as much muscle and strength as nature intends me to have, and I think that Ed is a fool to think he can get even as big as I am by monkeying a little while every day with those 'exercisers.' Why, he never did any hard work in all his life. Let him do what I did and he can get strength if he wants it so badly." Now, happily that younger brother was one of the kind that is not easily discouraged. He just went on quietly at his exercise, studying his weak points, and learning how to build them up. Also he had very definite ideas of just what he wanted to accomplish. For instance, he knew that in order to be well-proportioned he should have a 43-inch chest, and although his chest measured only 36 inches when he started, he knew that it was possible to get a chest as big as he wanted, because he knew of other men who had made that much improvement. 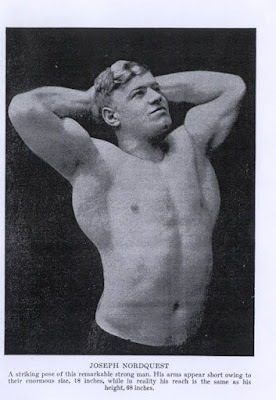 To make a long story short, the younger man did get just the development he wanted (and the strength also) and now instead of being known as "the skinny boy" he is known as "that big, finely built boy." In fact, he now exceeds his older brother in development and strength just as much as he was inferior to him a year ago. But then he felt in his heart and soul that is was possible for him to improve. 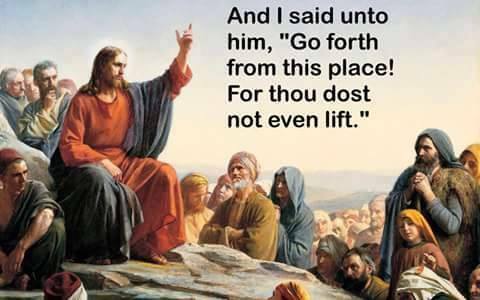 He refused to admit that while other men could build up, he could not. While the older brother who declined to make the effort necessary for improvement, now contents himself by insisting that there was "something unnatural" about Ed's growing so much huskier after he was twenty-one. While I am on the subject, I can not help saying that I am continually puzzled by the attitude some people have towards strength and development. Recently I was consulted by a young chap who certainly had nothing to brag about in the way of physical attractions. To begin with he was rather less than average height, and was of the flat-chested, round-shouldered variety. Now from my point of view he was at least twenty-five pounds lighter than he should have been. Evidently he placed a high value on his personal appearance, for he dressed in a way to emphasize what points he had. A good tailor had cut his clothes, and the back of the coat was well-shaped, and in order to make him appear broad-shouldered it was tapered into the waist line and tightly belted. The trousers were rather full at the top of the legs in a way that made it seem as though he had some thigh development; and like many other flat-chested men he had a trick of buttoning only the bottom button of his coat. That made his coat flare open at the top, and thus gave the impression that there was a real chest inside of the coat. While he was talking to me I noticed that he was looking over me in a disapproving way and he stared so earnestly at my neck that I wondered whether my collar was soiled, or my necktie disarranged. Finally he blurted out, "Mr. Liederman, I do want to get stronger and to have a better figure. But if you take me in hand and train me I want you to promise that you will not make me too big. Now, I wouldn't want to be as broad as you are, and particularly, I wouldn't care to have a neck like yours." "Why, what's the matter with my neck?" "Oh," he said, "it is too big. It looks like a wrestler's neck. I don't want to be built like a wrestler or a Hercules. I want to be slim and have a good shape at the same time. I think that if a man has a thick neck and thick wrists he looks coarse, and would be out of place in a fashionable training room. You know, Mr. Liederman, the fashionable trend is toward slenderness - to keep your boyish figure. The women like a slender, well-made man, but these big truck-horses of men disgust them." Seeing that I am fairly tall and weigh only about 175 pounds I was rather surprised that I should be considered monstrously large, but I controlled myself and said: "Man, I have no intention of giving you what you call a 'truck horse build,' but if I am to give you a real build it will be necessary to make your chest several inches bigger. That means that the upper part of your back will be broader and that your sides will taper in finely from your armpits to the sides of your waist. Also your chest will get rounded out and full in front, so that when viewed from the side your chest will be thicker from front to back than your waist is. And at present, as you must realize, you are very little bigger around the chest than you are around the waist. Of course, your neck will get bigger as your chest gets bigger and your shoulders will get broader. You would look odd if your got a bigger chest and still had that slender neck. When I am through with you, you may have to wear a 15 1/2-inch collar instead of that 13 1/2 size you now have on. However, your neck will not look extra big, but in proportion to the rest of you." It was no use! My neck had scared him off - which was a rather odd experience for me, as I had worked hard to develop my neck to its present size and shape. If I had talked all day I could not have made an impression on that man's mind. I felt just like a shoemaker does, when, after measuring a fat lady's foot and producing the right size shoe - five C - she insists that he does not know his business, and that in all her life she has never worn anything larger than a 2 double A; and if he cannot fit her there are other shoemakers, etc., etc. Fashions and tastes change from year to year, but the ideal human figure does not. A beautifully made Greek athlete of 600 B.C. would be a beautifully made man of today. Conversely, a modern man, who wishes to make his body perfectly proportioned and supremely strong and enduring, cannot do better than to try and equal the proportions of some statue of Apollo, of Mercury, Theseus, Perseus, or one of the other old Greek heroes. There were well-built men before the time of the Greeks and there have been others since - even today. I remember that when I was a boy the fashion in men's clothes was for the shoulders to be padded. Every man, in that year, who bought a new suit, immediately looked impossibly broad-shouldered. Sometimes there were pads as big as flat-irons where there should have been deltoid muscles. 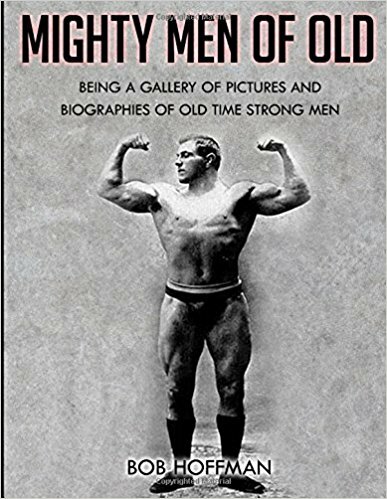 There was a great deal of talk about the "impressiveness of broad shoulders," and the "manly appearance of the new style." And since, like all boys, I aped my elders, I longed for the time when I could have one of those padded coats, and would be able to flaunt my (artificial) shoulders in the eyes of all beholders. Imagine my disgust when a couple of years later, I tried to get a coat of that variety, and the tailor said, "Oh! We are not padding the shoulders this year. The natural sloping shoulder is the thing." A really well-made man does not have to depend on the cut of his clothes to give the impression of shapeliness. If he has the shape, the natural lines of his figure will set off any of the changing styles. 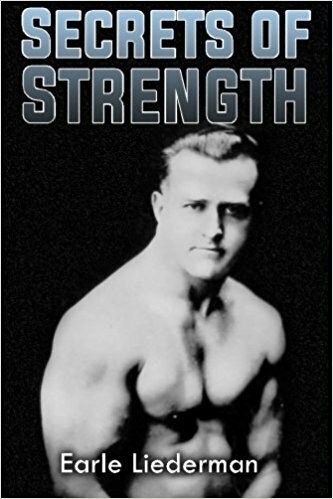 This may sound more like a fashion-talk than a discussion of "the secrets of strength," but really it is important; because strength depends, as I hope to convince you, on the proportions of the body and on the size and quality of the muscles. My hardest work is to convince a certain class of people that in order to become stronger and in general more vital, it is necessary to make themselves bigger. A man will tell me that he is tired of being a weakling, and would like to double or even triple his strength, if I can guarantee to do it in, say, six months. If, in reply, I say "Well, you have a good chance. I believe I can put six inches more around your chest, increase that 13-inch arm until it measures 15 inches, and give you a real pair of legs," he is apt to reply, "Oh! I don't want so much to be bigger, as to be stronger." I can realize that if a rather tall man of thirty, has for ten years been wearing a 36 coat, it is somewhat of a shock to realize that in a few months he will have to be wearing a size 42; but when I show that man pictures of beautifully shaped modern athletes of his height, whose bodies have beautifully smooth lines, betokening both strength and agility; and tell him that their chests measure even more than 42 inches, he realizes that a large chest is necessary, and when it begins to dawn on him that instead of having to be apologetic about his slender arms, he will get an arm like a Dempsey or Sandow, he sees that after all there is some connection between vigor and proportions. I suppose that a watchmaker gets used to the fact that a business man will carry a watch in his pocket for a lifetime without having the least idea of how the watch works. But I cannot see how some young men, especially those interested in athletics, can live with their own bodies, and have so little knowledge of what their bodies should look like, and can be made to look like. I found a young friend reading a book and he said, "Here is something that ought to interest you." I looked at the book, which told about Rajah Brooke's invasion of Borneo; and in the paragraph it started, "His crew were sturdy English fighting sailors - powerful men - not one of whom had less than a 14 1/2-inch biceps." My friend said, "Say Earle, is that a big arm?" I told him it was bigger than the average; such an arm as a blacksmith, a heavy-weight lifter or prizefighter might have - and that a 14 1/2-inch biceps might look very impressive on a short man, would seem inadequate on a very tall and broad-shouldered man, but nevertheless was a considerably bigger arm than the average man carried in his sleeve. Then, "Well, what is a really big arm," and I said, "Oh, sixteen to seventeen and a half inches according to the man's height." Next, "How much does your arm measure?" I told him, and countered with "And how about yours?" That struck home. He did not know his upper arm measurement, although he did know the measurement of his chest and waist because he ordered his own clothes; and he knew the size shoe and collar he wore. I suppose those things together, with his height and weight, are as much a the average young fellow knows about his own body. But that the chest must be so many inches larger than the waist in order to give the proper taper to the body; that the chest itself must be of a certain size to insure proper lung capacity, and that a certain size arm should go with a certain size chest, is something of which even the athletically inclined are usually ignorant. So when a man asks me to make him very much stronger without making him any bigger, I have to explain that I have no secret receptacle from which I can take a quantity of strength and pour it into his body. And even if I had, how could I put, say, a quart of strength into a vessel built to hold only a pint? To put it in another way - you can't get eighty horse-power out of an engine which is built to develop only 40 H.P., no matter how much gas you feed into it. Even though it is true that it is the gas that makes the engine go, yet as a general rule the more the horse-power the bigger and finer the engine. And you simply cannot carry a five-ton load on a chassis built to carry 1 1/2 tons as the limit. There are "Strong Men" galore, and I defy you to bring me one who is either small, or weak looking. Oh! I know there are people - men and women both - who call themselves "Human Magnets"; who are frail in build, and who seem to do great feats of strength. But if you knew as much as I do about the show business, you would realize that these people's strength is literally an illusion. Well then - among strong men we find chaps with 48-inch chests, with 17-inch arms, and 25-inch thighs. Some of them are lazy, and have allowed themselves to get fat and "beefy looking." But you can rest assured that, if they are the genuine article, underneath the fat you can see, there are hidden steel-like muscles. Most of them, however, "look the part"; and take pride in so doing. Their broad shoulders, deep chests, wide backs and muscular arms and legs all fit into the picture. And some of the biggest of them look amazingly slender. That is because they are big and strong in the right places. They have the size and development that gives enormous strength, and yet you can tell by looking at them, that they have not sacrificed one bit of their agility; nor does their imposing size make them clumsy. Because their development is rightly placed, it accentuates the beautiful lines of the figure. Positively one can become strong and powerfully built without making oneself, either very heavy, or in the least clumsy. I know two men of exactly the same height, one of whom is a professional "Strong Man" and the other is his manager. Both are big. Each is five feet, nine inches tall; but the manager has only a 40-inch chest and 14-inch arms; and is fat and has a 44-inch waist and weighs 220 pounds. While the athlete who has a 44-inch chest, 16-inch arms, and a 32-inch waist, weighs 180 pounds. His hips are smaller because they carry no fat, but his legs are as big, far better shaped, and infinitely stronger than those of his manager. And he weighs forty pounds less, although he is a bigger framed man. True, he carries no fat except that small quantity which every healthy human being has to have. The bones of the two men are about the same size. If you could in any way segregate the pure muscular fiber of the fat manager, you would find that his actual muscles were only about half the size of the strong man's. All of which seems to prove that healthy well-trained muscular fiber weighs less than fat. It would be interesting to know just how much soft, useless fat a stout man carries around the middle of his body. It is my experience that a man who is naturally slender, can so develop his body that it will be almost perfectly shaped; can increase his strength twofold or threefold, without the slightest danger of putting himself in the "truck-horse" class. Let us take as an example, the average young fellow, say 23 or 24 years old. The likelihood is that he will stand about 5 feet 7 1/2 inches in height (for that is the average height), will weight between 135 or 140 pounds clothed; and that he will take a "size 36" coat and a 14 1/2 collar. Now, if we make that man strip for a physical examination, we will find that by shedding his clothes his weight comes down close to 130 pounds. That removing his shoes has reduced his height to 5 feet 7 inches, or less. And his chest which he fondly imagines measures 36 inches because his coat is that size, actually measures between 34 and 35 inches. If you attire him in a pair of trunks and take his photograph, he is apt to be surprised and dismayed when he sees the picture. "Why" he will say "I had no idea I was so skinny as that. I look as though I could stand 20 pounds more weight." And it would be easy for him to put on that much weight simply by developing his muscles through the right kind of exercise. The picture shows that he has just about as little muscular tissue as will enable his body and limbs to function. His back is about the same width all the way from shoulders to hips; almost without shape at all, and decidedly without that magnificent taper from arm-pits to waist that is shown by the really strong. The front of his body is perfectly smooth. His collar-bones which should be completely hidden, stick out like two rails. There is hardly any indication of the big muscles that should cover the chest, and his abdomen is as smooth and muscleless as that of a ten-year-old boy. Because he has always worn stiff collars, his neck is thin and pokes forward. His shoulder-blades protrude a bit. His arms measure perhaps about ten inches just below, when the arms are hanging at the sides. His legs, which he has had to use in walking, are better than the rest of him; but the chances are that around the calves he measures not more than 13 1/2 inches, and that his thighs, even at the biggest part, measure 20 inches or less. Assuming that his work has been of a sedentary character, it is no wonder that his physique is so poor. The muscles grow by use, and the indoor workers - office men, clerks, students, and the like - hardly use their muscles at all. They are in the habit of riding even if they have only a few blocks to go; and during the day the hardest work they do is to pick up a ledger or move some light packages. Put such a fellow as I have described on a farm and you will almost see him grow from week-end to week-end. Because he is continually moving about - stooping, lifting, carrying, hoeing and pitching hay - he has to use almost all his muscles. His back will become thicker and broader; his shoulders will straighten up and get square in outline. His chest will be bigger. His legs in particular will get more sturdy and his arms will have a capable, sinewy look. In ten weeks of such outdoor work a young man will gain 20 pounds in weight; practically all of which is good solid muscle tissue. Naturally his eating has had something to do with it. Being continually in the open air in itself promotes appetite; but using his muscles ten hours a day is the real factor. For all that time he is putting forth energy and he will have to eat very much more in order to keep up his strength, than he did when working indoors. He sleeps soundly because he is healthily tired; he eats all he can get, and he is using his muscles practically all the time; and muscles grow from use. His gain in weight is due entirely to something new that he has created for himself - bigger muscles for the harder work. You may tell me that all this is nothing new; that "Anybody knows that." When you go on a vacation and play games, or when you take a job at laboring, you expect to build up, and put on flesh if you are thin; and to reduce weight if you are fat. That you think, is the regular and natural thing. Well, then, let us look at it from another angle. 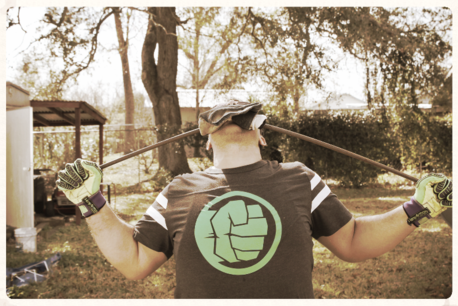 Grant that, at the end of your ten weeks on the farm, you are a huskier physical specimen than when you started in. You look better, you feel better, and you know you are better. You can carry a heavy sack of potatoes that you could not have even lifted on the first day; you can keep up for hours at back-breaking labor that would have crippled you in the old days. You have a grand feeling of hardiness and capability. (And all of that is the result of unsystematic work, that is, unsystematic muscular work. For farm labor, while it calls heavily on certain muscles, leaves others almost untouched.) When you look at yourself in a mirror, you seem to be bigger all around than previously; but except in a few places there are but few indications of any pronounced increase in the size and shape of the muscles. Your back is infinitely better, for you have somehow acquired two big cables of muscle along each side of the spine, and there seems to be two or three times as much muscle across your shoulder blades as before. The points of your shoulders are much rounder. Your forearms are perhaps an inch bigger, your hands bigger and harder, and even your wrists seem thicker. Your thighs while not so very much bigger, are rounder than formerly, and look bigger when you view them from the side. All that is gratifying, but you are somewhat puzzled by the fact that your upper arms have not become as big and round and heavily muscles as the rest of you. You have developed but little muscle on the front of the body itself (breast and abdomen) and the front and sides of the thighs have not assumed those big, swelling, and impressive curves you are accustomed to see on the legs of track athletes, football players and tumblers. But that you have gained at all is gratifying, and you feel if you could afford it you would always do several hours' muscular work every day. If you did, you would in all probability be disappointed in the results. For after a very few months of daily hard labor you would find that the body would lose its power to more than renew itself. That the work instead of the steadily increasing your size and strength, would tend to tire you; that your energy would gradually be drained, and that instead of having a surplus you would have a deficit. Laboring men and farmers are undoubtedly, as a class, stronger than indoor workers; but also, as a class, they are not very strong. No laborer uses his back more than a coal-heaver, yet the average oarsman who rows only a hundred hours in the whole year, is apt to have a stronger back than the average coal-heaver. Similarly a gymnast who uses his arm muscle only an hour a day will have a stronger arm than the average blacksmith who uses his arm eight times as much. 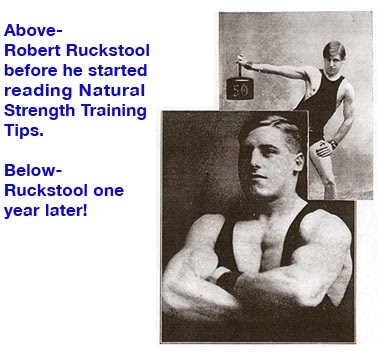 I can use this undoubted fact to prove to you that it takes very much less time and trouble to develop a strong body than it does to properly train your mind, and that systematic exercise produces more strength than does hard labor. Because I have always been interested in muscular development, I am a close observer of the effects of different kinds of exercise, and different schemes of training. And always I have found that methodical, systematic exercise produces vastly greater results in muscle making and strength building that does, hit-or-miss unsystematic work.